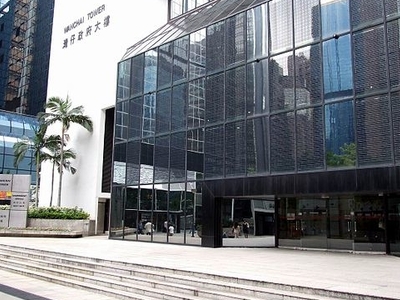 Wanchai Tower (traditional Chinese: 灣仔政府大樓), located at 12 Harbour Road, Wan Chai North, Hong Kong, is home to the District Court and government offices. Neighbouring buildings include Immigration Tower, Revenue Tower and Shui On Centre. It was built in 1985 and designed by K.M. Tseng of the Architectural Services Department. Financial Secretary John Tsang announced in 2008 that the government would study the feasibility of relocating the departments housed within the Immigration Tower, Revenue Tower, and Wanchai Tower to Kai Tak and Tseung Kwan O New Town in order to open up the valuable Gloucester Road lands for private redevelopment. Surveyors estimated then that the site could fetch up to $20 billion if the site were auctioned by the government. The plan has garnered some criticism for moving government services to locations seen as less convenient. An area of Tseung Kwan O on Po Yap Road, named Area 67, is already zoned to house government offices. Here's the our members favorite photos of "Key Buildings near Wan Chai". 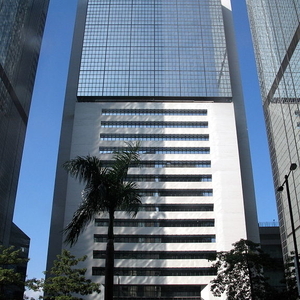 Upload your photo of Wanchai Tower!